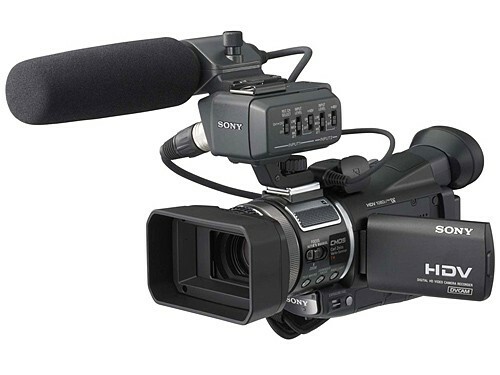 Sony HVR-A1U 1/3" Professional HDV Camcorder with 3-Million Pixel CMOS Imager, High Definition HDV, DVCAM and Mini DV Recording Options, Professional Audio Inputs and Time Code. The HVR-A1U is a tiny camera capable of recording in several frame rates including NTSC. When it is set up to record standard definition video this camera is an NTSC device that stripes the tape at 30 interlace frames per second. When it is selected to record in HDV it can record 60i, 30p or 24 frames per second. Its widescreen chip captures over 1000 horizontal lines and 1440 vertical lines no matter what you dial in for record format. Litepanels offers the only infrared light source on the market designed by production lighting professionals. Litepanels MiniPlus Infrared facilitates working in total darkness, making it ideal when shooting in surveillance, video night mode or with infrared film. Producing no visible light, the Litepanels MiniPlus IR is fast becoming an invaluable tool for cinema-verite style and reality TV projects and documentaries in which you want to keep your presence minimal or shoot unseen. A single unit bounced off the ceiling can illuminate an entire room. Litepanels Led Infrared can be powered from a variety of 10-30V sources, including a standard camera battery, car battery, AC adapter, or snap-on NIMH 1-hr plus battery pack.